Laetitia's school had a photographer come in to take a class photo and individual photos of the children. 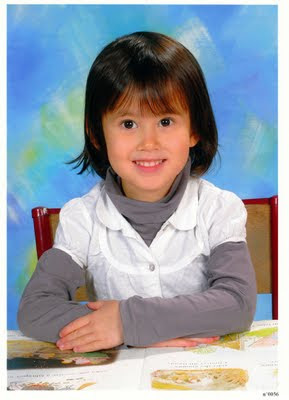 This is the photo of Laetitia that we were given (or rather we bought). She looks like such a big girl. Where did my baby go to?